The following article was chock-full of so much good information that we’re reposting it this year! Written by Pear Deck’s Chief Educator, Michal Eynon-Lynch. Because of this, I avoided Multiple Choice questions for a long time. But there are lot of ways to use Multiple Choice questions to spark discussion, check-in with students, or figure out where to go next. Multiple Choice questions can be a great way to uncover common misconceptions students have. In the example below, if a lot of students choose 3, you know there is general confusion about order of operations. If many students pick 5, that might indicate that they are having difficulty parsing common operators or are going too quickly to keep track of what they’re doing. You can use this kind of question ahead of group or individual work time to determine who should be in which group. For example, students who chose the correct answer might work on more advanced practice problems, while students who chose 3 might work with you to revisit order of operations. 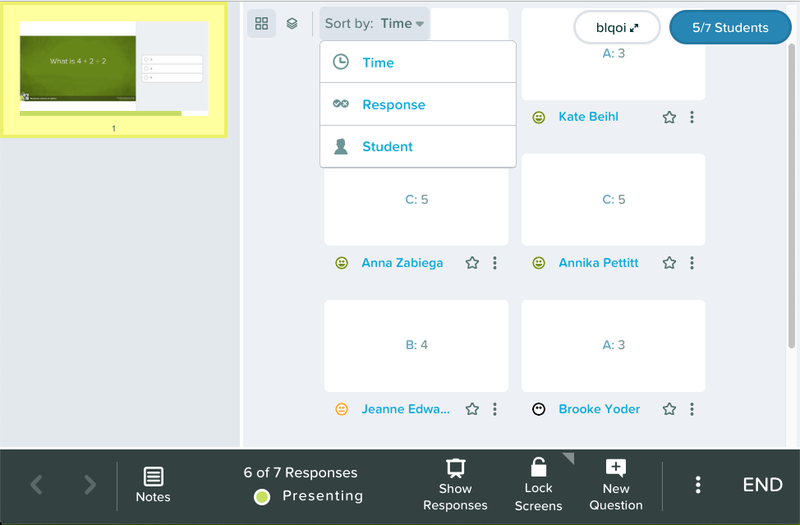 If using a Pear Deck Multiple Choice question to identify misconceptions, this is a great time to use the Sort by Answer button on the Session Dashboard. By default, students will be listed in alphabetical order. But you can click the drop down menu under “Sort by” and select “Response.” Now students will be listed according to the answer they selected. This can help you quickly see all the students who selected “A” and might need more instruction about the Order of Operations. Use a Multiple Choice question as a quick exit ticket to see if students understood the main takeaway of the day’s lesson. When planning for tomorrow, you can quickly look at the results and see if your students are ready to move on or need some more practice. When you make a quiz with clear correct and incorrect answers, you can grade it automatically and send email reports to students. When you are done with the Quiz, you can click “END” on the navigations bar. 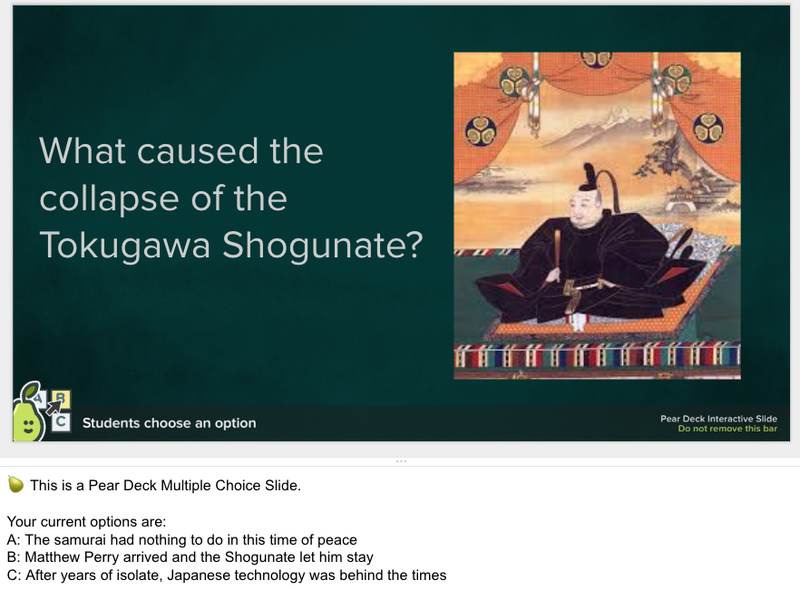 Back at your Pear Deck Home, you can export the answers to a spreadsheet. Pear Deck exports answers to Google Sheets so that they are ready to use with the Flubaroo Add-on. Simply run Flubaroo on your sheet and voila! Your quiz is graded and students can see their results. Check out detailed instructions on how to use Flubaroo with your Pear Deck responses.